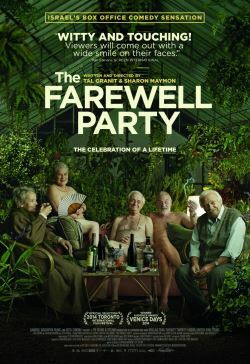 THE FAREWELL PARTY is a compassionate dark comedy about friendship and knowing when to say goodbye. A group of friends at a Jerusalem retirement home build a machine for self-euthanasia in order to help their terminally ill friend. When rumors of the machine begin to spread, more and more people ask for their help, and the friends are faced with an emotional dilemma.